Born: 17 September 1774, near Warrington, Lancashire, United Kingdom. Died: 3 November 1857, Saint John, New Brunswick, Canada. William Fitzwilliam (sometimes Fitz William) Owen, British explorer and hydrographer, was an illegitimate son of Captain William Owen of the Royal Navy. He was left an orphan in Madras, India, when his father died in 1778, but was looked after by Captain Sir Thomas Rich. During his schooling in north Wales and later in London he showed an aptitude for mathematics. He entered the Royal Navy as a midshipsman in June 1788, initially on the Culloden under Captain Rich. For the next 24 years he served his country at sea, mainly fighting the French and their allies. He was promoted to lieutenant in June 1797 for his conduct during the mutiny at Spithead, and to captain in 1811. Among others he participated in the British occupations of the Cape of Good Hope in 1795 and again in 1806. On his way back from the Cape to India later in 1806 he made his first hydrographic observations at Quail Island (off the east coast of Madagascar) and the Seychelles, and charted two navigable channels through the Maldive Islands. In 1812 he surveyed the coast of Borneo, and the next year returned to England, having already accumulated considerable experience in hydrography. From March 1815 to May 1816 he surveyed the Canadian shores of the Great Lakes in North America, but was then recalled. His report on the work included dozens of charts and the methods he taught his young surveyors helped to alter the nature of naval surveying during the nineteenth century. In August 1821 Owen was appointed to lead an expedition in the Leven, the Barracouta and the Cockburn to survey the east coast of Africa from the eastern border of the Cape Colony to Cape Guardafuy in Somalia, as well as the islands of the Indian Ocean. The expedition included a number of young surveyors and cartographers, as well as the plant collector John Forbes*. They arrived at Simonstown in July 1822. The most important items in the expedition's equipment were nine chronometers for the determination of longitude, which had been set at Greenwich time before their departure and were checked and reset in Cape Town. Owen and Reverend Fearon Fallows* determined an improved longitude for Cape Town, while his men surveyed the coastlines of False Bay, the Cape Peninsula, Robben Island and Dassen Island. Leaving Cape Town in September that year the Barracouta surveyed the coast from Cape Hangklip to beyond Algoa Bay, while the expedition's survey of Algoa Bay itself formed the basis of a chart published by the Hydrographic Office in 1827. After their arrival at Delagoa Bay (now Baia de Maputo) later in September a third of the men died of malaria. Owen left the Cockburn to survey the bay and the lower reaches of the rivers flowing into it, and proceeded to survey the coast southwards to the mouth of the Tugela River. They named features such as Port Durnford, Boteler Point, Cape Vidal, Morley Shoal, and Watkins Creek after various members of the expedition who had died. They next surveyed the Mozambique Channel before returning to the Cape in April 1823 to recuperate and re-equip, and to complete their charts. During a second cruise, from June 1823 to September 1825, Owen took the Leven across the Indian Ocean and, among others, visited Mumbai, the southern coast of Saudi Arabia, the Seychelles, Madagascar, and Mauritius. Meanwhile the Barracouta surveyed portions of the African East coast. These cruises eventually yielded detailed and accurate charts of the Indian Ocean coast of Arabia and of the entire east coast of Africa. They returned to Simonstown in September 1825 to refit and prepare their charts. During their stay of five weeks they surveyed Table Bay and Owen wrote "Instructions for entering Table Bay at night", which was published in a local newspaper in November 1825. While still at the Cape Owen was ordered to survey two sections of the west coast of Africa, from Cape Mesurado (at Monrovia, Liberia) to the mouth of the Gambie River (in The Gambia), and from the mouth of the Congo River to the Bight of Benin. Leaving Simonstown in October 1825, he decided to survey the Namibian coast along the way. The work was carried out by Lieutenant A.T.E. Vidal on the Barracouta and yielded the first systematic charts of that coast. At present Luderitz they found the cross planted there more than three centuries earlier by Bartholomeu Dias* thrown down and broken. Their plan of Walvis Bay formed the basis of an Admirality Chart (No. 629) which remained in use in revised form to the end of the century. Furthermore, Owen's remarks on the coast appeared in successive editions of the African Pilot. He eventually returned to England in August 1826, but in February the next year was sent to West Africa again, in the Eden. He played a supporting role in the British war with the Ashanti in the Gold Coast, and founded a settlement on the Island of Fernando Po (now Bioco, Equatorial Guinea). In December 1829 he left the island, having been ordered to the east and west coasts of South America. He returned to England in August 1831. Owens's African surveys yielded nearly 300 large sheets of charts, covering some 30 000 km of coastline and constituting an enormous contribution to hydrographic knowledge of the African coast. His charts formed the basis of several Admirality maps and had a profound effect on navigation and later maps of the continent. His work furthermore demonstrated conclusively that chronometers could be relied upon in the determination of longitude. In 1832 he published two papers in the Geographical Journal, "On the geography of the Maldive Islands", and "Particulars of an expedition up the Zambezi to Senna, performed by three officers of His Majesty's Ship Leven, when surveying the East Coast of Africa in 1823". His Narrative of voyages to explore the shores of Africa, Arabia, and Madagascar; performed in H.M. ships Leven and Barracouta, under the direction of Captain W.F.W. Owen, R.N.... was edited by H.B. Robinson and published in London in 1833. A separate American edition appeared the same year. The book was not well organised and contained many small errors, but was none the less a significant work and included a number of maps. It also contained information about the Zulus and the coastal region of KwaZulu-Natal, which eventually stimulated the interest of Cape traders in trading with the inhabitants of Natal, particularly for ivory. Furthermore, Owen drew special attention to the rich fishing grounds of the Agulhas Bank. 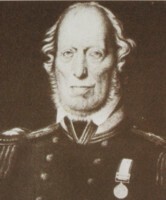 Other accounts of the expedition were published by Thomas Boteler, commanding officer of the Barracouta (Narrative of a voyage of discovery to Africa and Arabia..., 1835), and by two other officers under the general title Service afloat in 1833 and 1836 respectively. In 1835 Owen moved to Campobello Island, Nova Scotia (Canada), where his father had founded a settlement in 1770. Between 1842 and 1847 he conducted a survey of the coasts of Nova Scotia and New Brunswick for the British Admiralty and in 1846 published a paper, "On the practice of circummeridian altitudes at sea or on shore" (a method to measure one's lattitude) in the Memoirs of the American Academy of Arts and Sciences. In December 1847 he was promoted to rear admiral, then to vice admiral in 1854, and retired the next year. A man with a strong devotion to duty, he had a brittle temper that made him difficult to work with. Boteler, T. Narrative of a voyage of discovery to Africa and Arabia, performed in His Majesty's ships Leven and Barracouta, from 1821 to 1826, under the command of Capt. F.W. Owen, RN (2 vols). London: R. Bentley, 1835. Reprinted by Adamant Media Corporation, 2003. Burrows, E.H. Captain Owen of the African survey. Rotterdam: Balkema, 1979. Duminy, A. Mapping South Africa; a historical survey of South African maps and charts (second, revised impression). Auckland Park: Jacana, 2013. Norwich, O.I. Maps of Africa. Johannesburg: AD Donker, 1983. O'Byrne, W.R. A naval biographical dictionary. Polstead, Suffolk: J.B. Hayward & Son, 1986 (originally published in 1849). South African bibliography to the year 1925. London: Mansell, 1979 (Vol. 1-4) and Cape Town: South African Library, 1991 (Vol. 5). Thompson, W.W. The sea fisheries of the Cape Colony (p. 23). Cape Town: T. Maskew Miller, 1913.